Honoured to see Matasuna Records Afreaka! 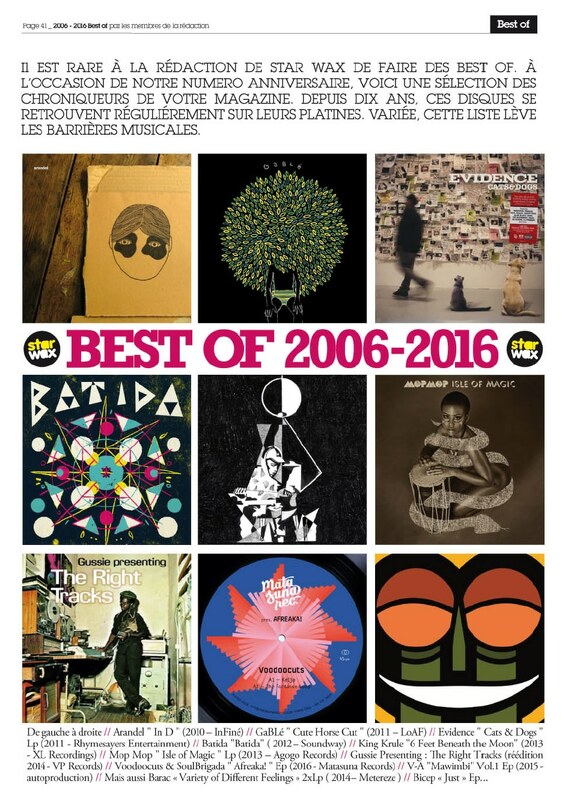 EP on Star Wax Magazine France’s „Best Of 2006-2016“ list! They compiled this list for the 10th anniversary of their magazine and selected our debut EP as one of the best releases. It means a lot to us – a big Merci to you guys!